Raymarine 218 | Our independent unbiased marine VHF review and more one marine electronics. The Raymarine 218 is the most expensive and sophisticated radio produced by well-known marine electronics manufacturer, Raymarine. Special features on this best-of-breed marine VHF radio include a moderately large dot matrix display screen with three soft keys and a movable microphone. The Ray 218 can use an optional microphone relocation kit to move the front panel microphone to another more suitable location. This radio can also connect to an optional remote microphone and operate as part of an intercom system. The standard microphone has buttons to control channel selection, scan, transmitter power, local/distant receive sensitivity, and quick 16 or 9 selection. The Ray 218 performance ranked highly among its top-of-the-line competitors. In our transmitter review, we found the 218 power output stable over the entire temperature and voltage ranges tested, it earned an excellent rating. Frequency stability also tested well and garnered a good rating. We rated receiver sensitivity excellent while selectivity ranked high at 80 dB. Audio output was rated excellent as well with sound pressure levels powering to a mighty loud 96 dBA. The Raymarine 218 uses a dot matrix screen 2.5 inches wide by 1.6 inches high, the very top line of the screen has a variety of icon symbols. It shows channel numbers in large block letters with customizable channel comment. The display can be set to show a second standby channel side by side with a soft key push used to switch between the two. Time, position, course, and speed can be displayed onscreen when the radio is connected to a GPS unit. We rated the display screen Excellent. Raymarine provided one-button control of several functions including: toggling between weather and voice channels, making a quick channel 16 or 9 selection, and selecting various menus. Three soft keys set directly below the screen change function depending on the mode of operations. The unit is turned on or off with the volume control knob. Squelch and channel selection each have rotary knob control too. The 218 will show a warning message and icon for either high or low battery voltage. Many functions on the Raymarine 218 are operated by first selecting a menu and then making choices with the channel rotary knob or soft keys. Some common VHF menu choices are local/distant receiver setting, picking the channel group, switching transmitter power, and setting a scan mode. The system menu controls functions like display backlighting and contrast, key beep, and speed unit selection. The Ray 218 is designated a Class D radio for DSC operations. Class D means this radio has two separate receivers, one for voice communications and the second continuously monitoring channel 70 for any DSC calls. Before you can make a distress or any other type of DSC call the MMSI number must be programmed into the radio. The 218 has a phonebook that will store up to 50 MMSI numbers with up to nine character names. This radio will make distress, individual, all ships, and group calls as well as transmit and receive position data. This Raymarine marine VHF can scan channels using Dual Watch, Tri-Watch, all channels, saved channels, and priority mode. All scanning modes and choices are made in the VHF operations menu. Dual Watch scans channel 16 and another selected channel. Tri-Watch adds a third channel to the scan. You use the save channel option in the menu to add a channel to memory. The radio will also store up to three favorite channels, which in certain modes can be soft keys selected. The 218 features a powerful 30 watt hailer/foghorn. Menu control of these functions starts by hitting the hailer button. The foghorn can be operated manually or automatically. In manual mode it sounds a 400 Hz tone as long as the push-to-talk is pressed. Sound patterns are menu selectable for powerboat underway, powerboat underway not making way, sailing vessel underway, vessel under tow, vessel aground, pilot vessel, vessel restricted in ability to maneuver, and vessel at anchor. Output volume is controlled by soft keys. 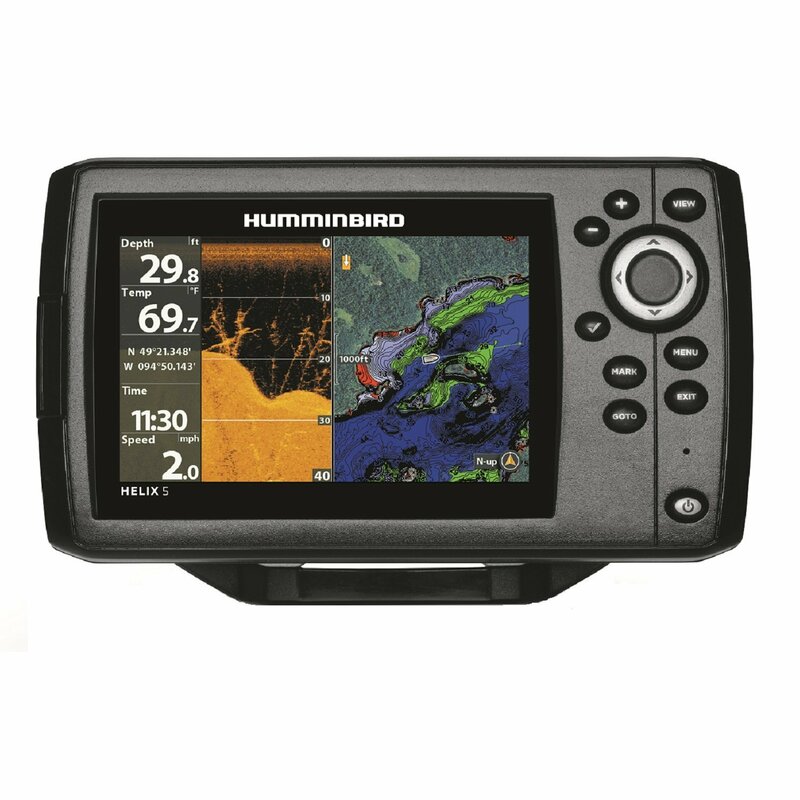 The Raymarine 218 carries a 3-year warranty and is waterproof to IPX7 standards meaning it can withstand submersion to one-meter for 30 minutes. Compare Prices for VHF Radios. The Raymarine 218 offers outstanding performance and a long list of user-friendly features, though in our view it is a little expensive for a radio lacking a keypad.